We had a fantastic kayaktour February 11th with great weather (about 15C) and calm sea at the breathtaking coastline around Betlem. We were a Group of five (one experienced and 4 beginners). Pep is very friendly and it's easy to communicate with him with quick response on emails and mobile - also concerning actual weatherconditions. He brought professionel, complete equipment in all sizes. He even brougt delicious lokal homemade food (also for vegetarians) for a picnic/rest after two hours of paddling. During the rest we enjoyed his great knowledge about the sport and the Baleares/Spain in general. He made us all feel safe and he managed to motivate, comfort and challenge both, beginners and experienced paddlers. We very much recommend Pep and his Company. Just returned from Mallorca having had a wonderful time sea kayaking in the clear and beautiful coastal waters on the east of the island. Pep was the perfect tutor and guide from the local area, for what turned out to be a brilliant paddling experience. We were both a bit nervous as our paddling skills are basic but, following a mornings tuition with Pep, we both felt much more confident. 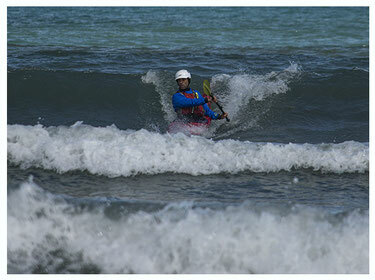 Pep is not only a very skilled kayaker but a patient skilled tutor and guide. He very obviously loves his work and makes a point of introducing his visitors to areas of the island that can only be accessed by kayakers or small boats (caves and rock formations and small hidden beaches) and really cares about the environment he works in. We would love to make a return trip! many thanks for yesterdays trip. I enjoyed it a lot. It was fantastic to get the island from a orginal perspectiv to know the time provided. These were breathtaking trips, so incredible beautiful, what an experience! I came here for the second time, and this time we did 3 day trips, and it was absolutely amazing. Pep has a great experience and he gives a perfect guiding all the time. all the trips were wonderfully chosen, with a perfect distance, i always felt safe and so i had so much fun going through wind and waves. it was perfect sea kayaking!! next time i will do a multi day trip, there is so much more to see! Thanks Pep for this wonderful kayak holiday. Just came back from a trip to Mallorca in the first week of April. As it was windy and at times chilly in the mountains we were a bit afraid that the sea would be to rough early in the year. Eventhough we had no prior experience kayaking we felt at ease in the kayak after a short instruction in (good) English. We did a half day excursion leaving from Betlem. The weather was beautiful, the sea was calm the scenery spectacular. We tracked the coast via bays that are only reachable by kayak. When we stopped paddeling to listen the silence was breathtaking. I would recommend this excursion to anyone looking for adventure on Mallorca. For us it was a highlight of our holidays. 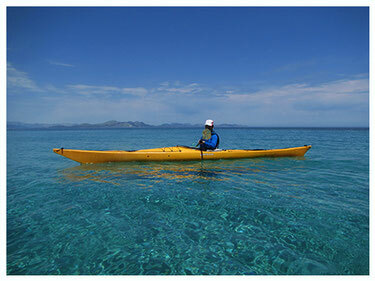 We returned from Mallorca having had 2 wonderful sea kayaking trips in the clear and beautiful coastal waters near Betlem and starting from Cala Murada the other day. Pep was a perfect guide from the local area. Pep was patient and gave us good kayaking hints and explanations. 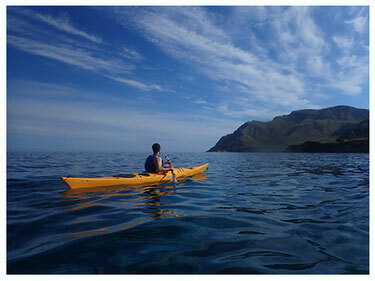 Very worth details of sea kayaking. Used to paddling rivers, seakayaking does have definitely other challenges! Pep is a very skilled kayaker and guide. He loves his work and and cares very much about the environment he works in. The next time we are visiting Mallorca, we will for sure book a tour with Pep again. Thanks so much!!! We had a tour of the Betlem coastline on 31st June 2016 in the morning. Our guider Pep made this a fantastic experience for my partner and I. He taught us how to manage the kayak with some basic strokes and taught us some history about the sea and coastline along the way. He was incredibly friendly, patient and helpful and the photos he took (which are part of the price) were amazing! Great value for money and a great experience. We had three great days with Pep in July. 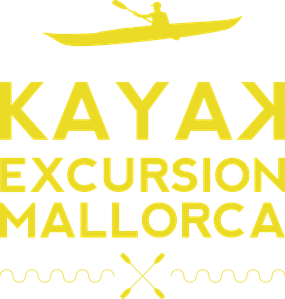 We are experienced, but rusty, kayakers from Scotland and Pep was able to find the right level for us with a lovely mixture of open sea, caving, hidden coves and Mallorcan culture. He is passionate about kayaking and Mallorca and took us to places that we would never have found. He recommended great places to eat (where the damp, salty look was just fine) and even took us to find real bread! He showed us how to gather sea salt from rock pools and encouraged us to swim through secret passageways. We hope it won't be too long until we can go back again, maybe staying in one of the fascinating places that Pep recommended. Thank you Pep for guiding us along the coastline starting from Betlem. It was a beautiful tour with interesting information about the highlights along the route like the caves, the rocks, best snorkeling spots. Pep was a great and patient teacher. It was absolutely worth booking the tour! I wish my entire vacation was kayaking with Pep! You can tell Pep lives for kayaking - he is very knowledgable and enjoyed sharing all of the beauty and island secrets with us. We had a group of 5, most of which were beginners, and Pep was very patient, kind and made sure everyone enjoyed themselves. I would recommend a kayak tour with Pep to anyone interested in discovering this beautiful island on the wild side. 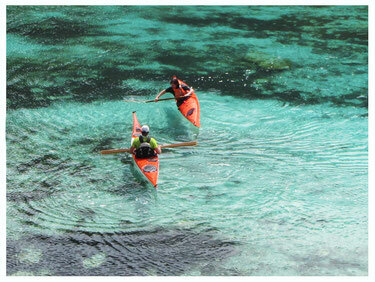 Last year we already enjoyed two kayak tours with Pep in a small group and excellent guiding. This year we came back and of course booked a tour again. This time we started in cala romantica and paddled to a variety of nice, emty and very beautifull calas and caves. It was so interesting to listen to Pep`s informations about nature ,the island, the coast with its caves and how tourism should work to safe enviroment. The weather was perfect, for it was possible to paddle into a number of caves until the sea and wind became a little bit tougher for paddling back. Thank you Pep again for this fantastic tour!!! Although we didn't get to experience the tour due to our travel arrangements we just wanted to thank you for your appropriate communications which made it so easy to slide into holiday mode, Salud! Me and five of my friends we out with pep for the morning kayaking. We all had such a fantastic day. The area Pep took us too was so beautiful and he was very knowledgable. Pep makes the trip very relaxed and he gave us options of what we would like to do. Best of all. He tolerated us 5 girls for 3 hours!